Back at it with that music dawgs. I somehow got the phrase Off-Brand Loyalty in my head while getting off the F train at the Delancey Street station. From that point on I knew it was a song I had to create. So that’s just what I did. Music put to the side for a while, got a gig through my sister where I was asked to a series of animated gifs. I used to make some gifs for fun for some forums, many years back. I used to use PhotoShop and it’s plug in ImageReady. I was worried when I couldn’t find ImageReady in CS 6. But a little google-fu showed me that there’s a timeline window in PhotoShop and it’s functionality is the same as what I was used to. Animating is time consuming, but I’m thinking of doing some in service to the Stunning Beeboy, and make myself more marketable in the process. I have 20 gifs to do for this gig, and I have to refamiliarize myself with what I used to know and learn a bunch of new tricks. So, here go some of my exercises and attempt. 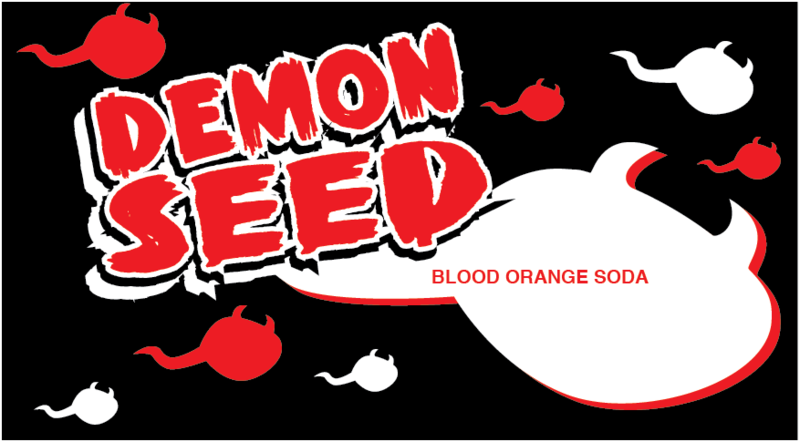 T-Shirt design for so badass it hurts contest on cracked.com. I went with 80s action movie motifs. Rambo’s hair and headband. Dutch’s vest with grenades from Predator. A BFG . Nun chucks, so many American Ninja and martial arts movies in the 80s. Chuck Norris’/Burt Reynold’s mustache. Aviator Sun Glasses. 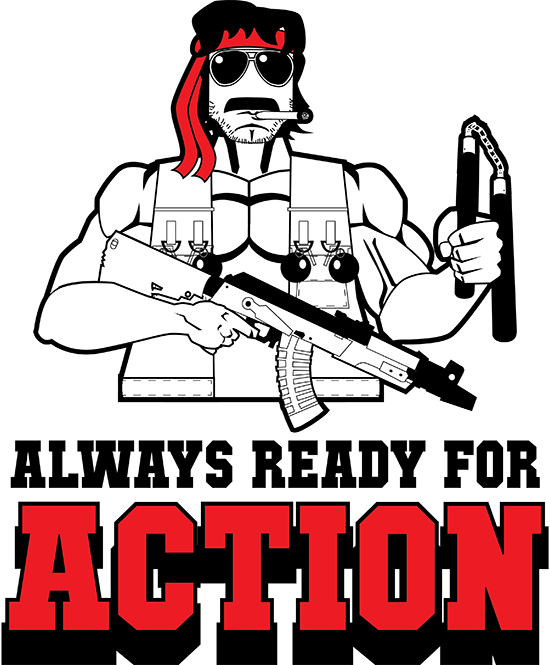 Arnold’s trademark cigarrs. This is what action looked like to me as a kid. Hopefully the judges think so too. If they don’t I’ll post in in zazzle and or cafepress. So I decided to work on a video for the song Wanna Buy?. In doing so I worked up a new series of images featuring that little hellspawn Damian from the remake of the cult horror classic, The Omen. 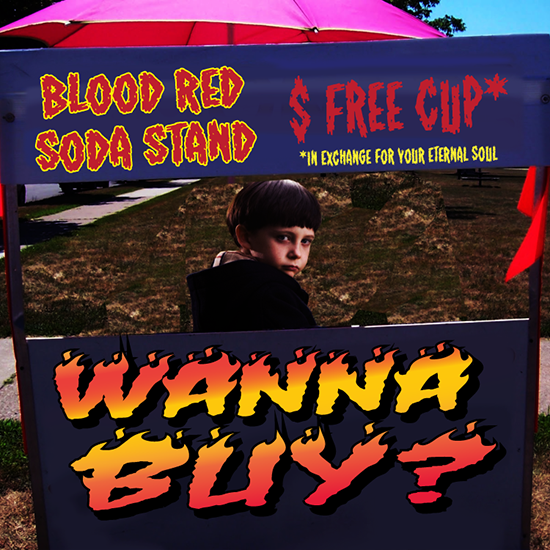 You may notice the brand of soda he’s selling isn’t familiar, hopefully. And let’s not forget the original image. Beefing up that portfolio. 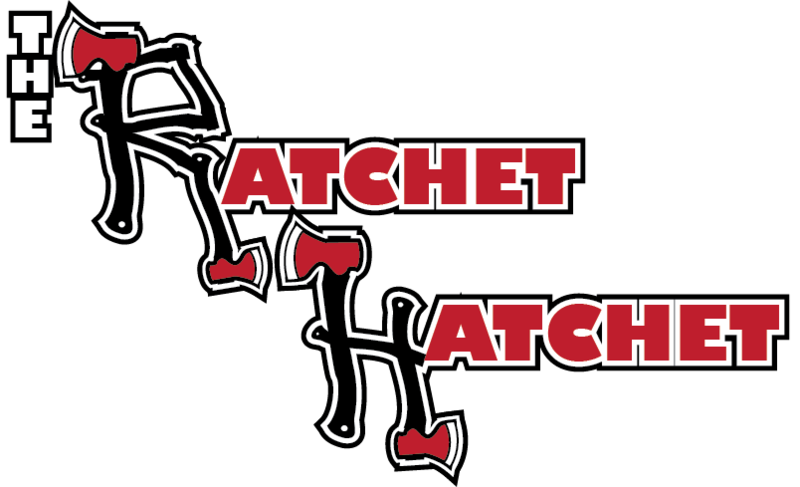 A Podcast I love, The Ratchet Hatchet, featuring two NY comedians that I love, Josh Homer and Jess Wood, was having a logo contest. Here’s what I came up with. I was listening to, The Black Guy Who Tips, one of my favorite podcasts and they had a panel discussion that was about , Black Twitter. 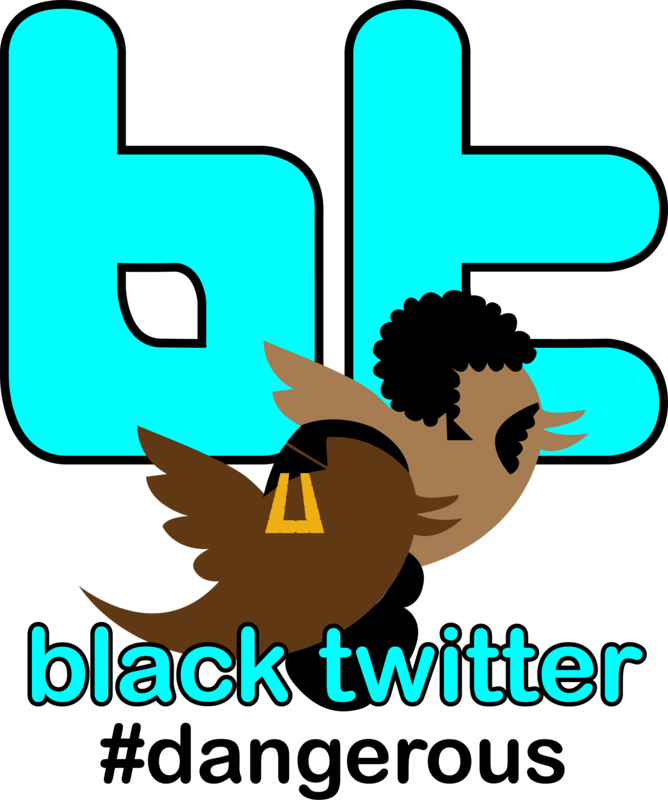 The article they cited said that Black Twitter tended to be “irresponsible” and “dangerous.” So I fired up Illustrator and got to designing a graphic. I could get angry and dust off my soapbox, but I figured, why not try to make a buck. #capitalism. Buy a shirt, or a button, or a mug or a bag. This was designed for a special friend of mine. She had to do a presentation for a job interview based on training new personnel in a college advising on how to deal with dissatisfied students. 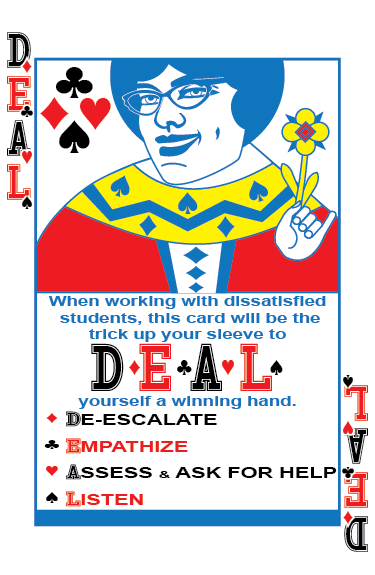 She told me she wanted to present playing cards with her acronym D.E.A.L., which I hope is self explanatory by looking at the card above.